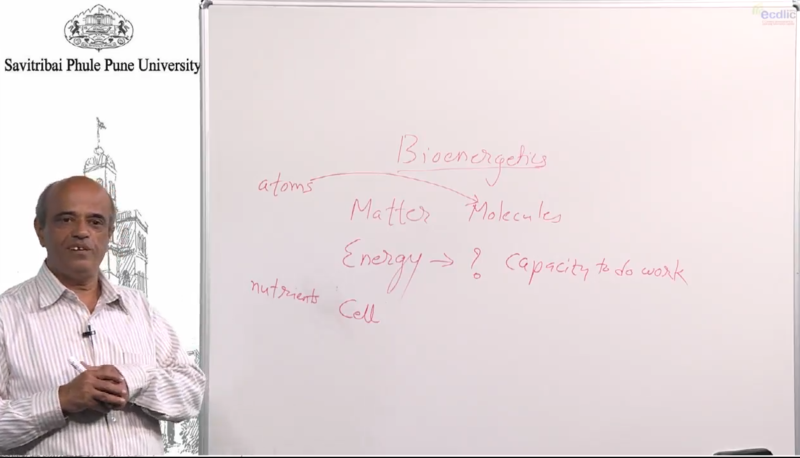 This lecture series focuses on basic concepts in Bioenergetics. It elaborates the concept of Energy and Work, Free energy concept, Feasibility of metabolic reactions, Energy transactions in Biological system, Phosphoryl group transfers and ATP, Biological oxidation-reduction reactions, Energy coupling reactions in Biology. These lectures will certainly serve as the strong foundation for better understanding of cellular metabolism and will reinforce the learning of Biology at a deeper level. Students and teachers of Life Sciences including Botany, Zoology, Microbiology all will find these lectures very useful. UGC Emeritus Professor Former Head Dept of Microbiology SPPU His research interest are Enzymes, Microbial Metabolism and Microbial Biotechnology. He has published several research papers in National and International journals. 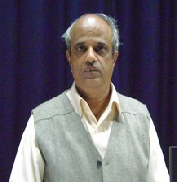 He is one of the founder faculty of Microbiology Dept at Savitribai Phule Pune University and has 36 years of PG teaching experience at SPPU; He is the first recipient of Innovative Teacher award of SPPU in the year 2016.